Arterial and venous systems. 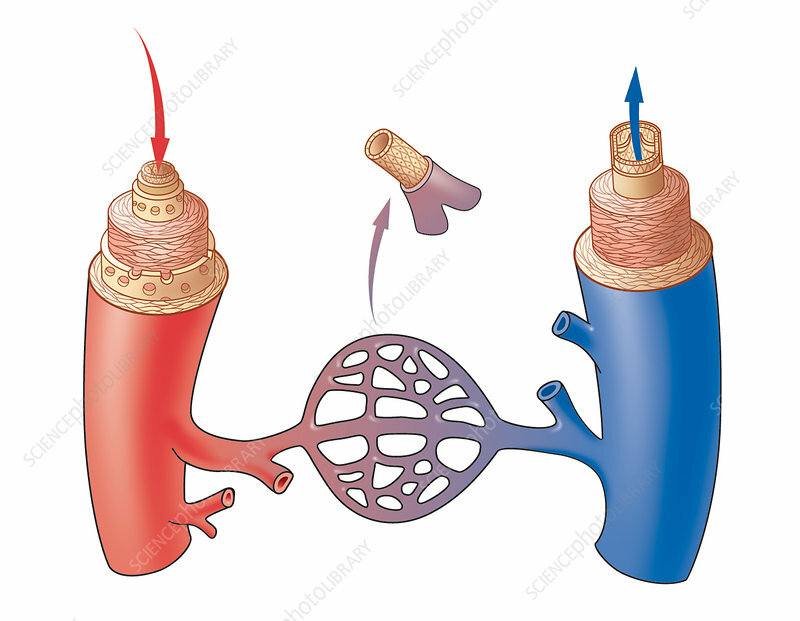 Artwork showing the structure of the walls of arteries (left) and veins (right) and the network of capillaries (centre) that join the two, forming the circulatory system. Capillaries (inset at top) have thin walls that allow nutrient and gas exchange with body tissues. Arteries are thick-walled muscular tubes that carry oxygenated blood around the body at high pressure from the heart. Veins are less muscular, contain valves, and channel deoxygenated blood from the body back to the heart. The inner lining of all three blood vessels is known as the endothelium.